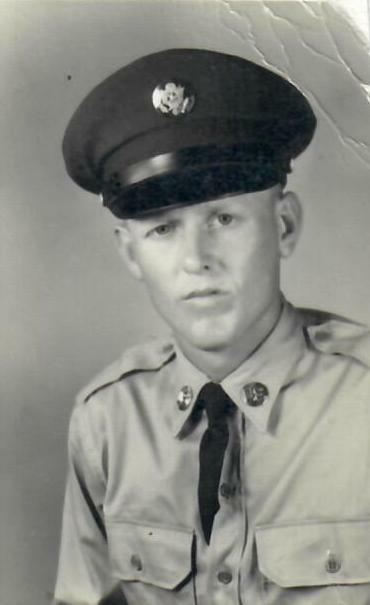 Mr. Lawrin L. “Larney” Gould, age 80, of Saltillo, passed away Sunday, December 2 at his home. Mr. Gould was born May 8, 1938 in Saltillo the son of Orel and Ruby Hays Gould. He was a graduate of Campbellsburg High School, Class of 1957. He was an Army veteran, a retired employee of City of Salem Street Department, and a member of Saltillo Christian Church. He was Saltillo Town Board President since 1975 and caretaker of Saltillo Cemetery. On October 29, 1965, Larney married Bonnie Purlee Gould and she survives. He is also survived by two sons: Shawn Gould (Kristi Holcomb) and Trent Gould both of Saltillo, a sister: Shirley Hamilton of Campbellsburg, three granddaughters: Ashley Goodwin (Mark), Raegan Gould and Rylee Gould, and two great-grandchildren: Hunter and Emery Goodwin. He was preceded in death by a son: Bill Gould, four brothers: Donn Gould, William Gould, Charles Hays Gould and Keith Gould, two sisters: Jean Tolbert and Mary “Betty” Wineinger, a grandson: Carson Gould and his parents. Funeral services will be held Wednesday at 2:00PM at Weathers Funeral Home. Burial will follow in Saltillo Cemetery with military honors. Visitation will be Wednesday from 11AM-time of service. In lieu of flowers, the family asks that donations by made to: Saltillo Cemetery Fund, c/o Shawn Gould 8337 N. County Road 800 East, Campbellsburg, IN 47108.